The main meetings of the Our Ocean Conference (OOC) wrapped up on Tuesday with a fresh determination to protect and create sustainable and healthy oceans across the globe. Coordinating Maritime Affairs Minister Luhut Pandjaitan said that real solutions were needed for marine conservation efforts, requiring innovation and concrete action with measurable outcomes, which was only achievable if all stakeholders chipped in. “No country, no organization can solve problems without support. 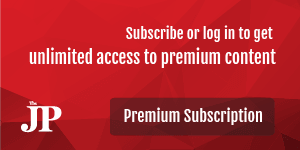 [...] Support can only be gained by showing tangible results,” he said. The two-day 2018 OOC was capped off with hundreds of new commitments to ensuring healthy oceans, as well as the expression of a determination to achieve the ocean-related aims of the United Nations’ sustainable development goals (SDG) 14. In total, 287 targets were set, worth more than US$10 billion, mainly focused on marine protected areas (MPA), which are considered essential to maintaining the sustainability of ocean resources that can contribute to food and protein security, as well as addressing marine pollution. “This number is beyond our expectations. 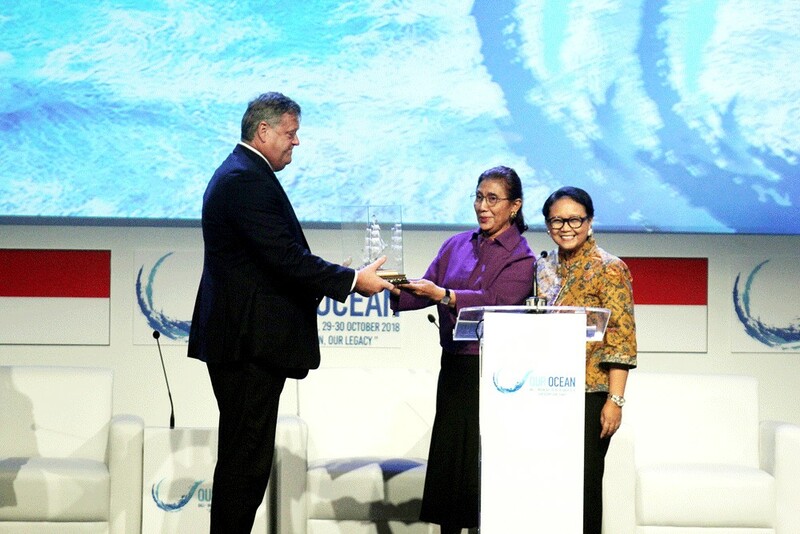 We are thankful for your collective contributions to making our oceans healthier and sustainable,” Maritime Affairs and Fisheries Minister Susi Pudjiastuti said. Susi described the new commitments as “tangible”, including the target to create 14 million square kilometers of new MPAs. The ministry’s expert staff member Suseno said that this year even more stakeholders, from civil society organizations to philanthropists and private sector actors, had joined the sustainable oceans campaign by also making commitments with the participating countries. “This is mainly the result of the efforts of the young generation [who continue to push for stakeholders other than governments to play a greater role],” he said. Indonesia made 23 new commitments on Tuesday. This year, Indonesia implemented a mechanism to monitor and track existing OOC commitments, officials said. From the first day of the 2018 OOC, Susi pushed for a joint effort to create a tracking mechanism for the 663 commitments OOC participants had made during past conferences. Prior to this year’s OOC, participants had made 663 commitments since the first conference in the United States in 2014. To date, 206 commitments have been fulfilled. UN special envoy for the ocean Peter Thompson said that since the UN Ocean Conference in June 2017, at which the international community gathered to support the implementation of SDG 14, there had been a wave of ocean protection efforts across the globe. There are 10 ocean-related targets under SDG 14 — four of which, including a goal to establish 10 percent of the world’s oceans as MPAs, are supposed to be achieved by 2020. Despite the international community’s determination, there was no room for complacency, Thompson added, as countries only had about 18 months left to achieve the four goals. “I am very confident that we will hit those four targets but only if we keep our shoulder to the wheel between now and 2020,” he said. On Tuesday, Indonesia officially handed the OOC baton to Norway, which will host the sixth forum next year. During the handover ceremony, Foreign Minister Retno LP Marsudi said she believed “the OOC is in good hands. I know how much Norway cares about and loves the sea”, citing her experience as an Indonesian ambassador to Norway 13 years ago. All the dignitaries, including Susi, later attended a closing ceremony and official dinner.